A giant figure in early baseball history, his very few cards are revered by collectors. 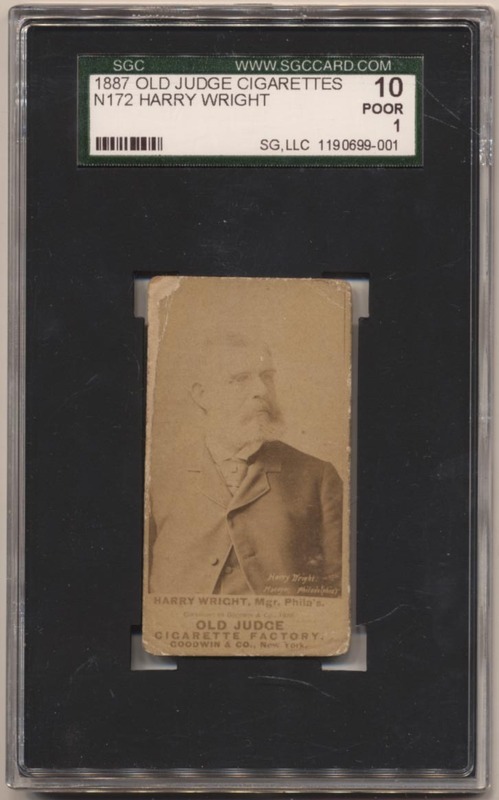 Offered is a pleasing SGC 1 example of his Old Judge card. This has a slightly light but still fully acceptable image. The front has extensive wear by the upper left corner but no creases. The back shows creasing but no paper loss or damage. How many of you can say you have a true Harry Wright card in your collection?